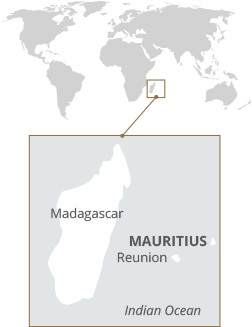 Mauritius is a political and financially stable mature democracy which has actively sought and welcomed foreign investors and business for many decades. The banking, communications, financial and professional infrastructure is adept at meeting the demands of international business and tax practitioners. The island offers a well-regulated and developed international banking and financial sector. International banking units are experienced in serving the demands of international business. Mauritius Authorised Companies which are private companies having the Authorised Company status, such companies are flexible, cost-effective, tax exempt “offshore” business entities that cannot make use of Mauritius’ extensive tax treaty network. Global Business Licence (GBC) companies are tax resident, liable to 15% income tax but may avail a partial tax credit on foreign source specified income whereby the effective tax rate is 3% and if they are correctly structured and managed may access Mauritius’ tax treaty network. Neither capital gains nor withholding taxes are levied. Section 83 of the Financial Services Act 2007 provides for confidentiality concerning all matters relating to Global Business Licence and Authorised Companies. A credit for foreign income tax paid on its foreign source income. A sparing tax credit – a credit for tax deemed to have been paid. In the case of dividend income, an underlying tax credit, i.e. credit for tax paid on income out of which the dividends have been paid under certain conditions. The foreign tax credits should not in the aggregate exceed that of the Mauritius tax payable on such foreign source income. The Income Tax (Foreign Tax Credit) Regulation 1996 (under the Income Tax Act 1995) allow for foreign tax credit on the foreign source income of a Mauritian resident. These regulations had been amended by the Income Tax Credit (Amendment Regulation) 1997 whereby the presumed amount of foreign tax was increased from 80% to 90% of the Mauritius tax chargeable. However, the Finance Act 2000 amended the regulations bringing back the presumed foreign tax to 80% – this change became effective as from 1st July 2003. It is to be noted that such presumed foreign tax is available for qualified corporations. In drafting the Foreign Tax Credit Regulations, the approach has been to be as generous as possible to the taxpayer with regard to foreign tax credit. Mauritius wishes to avoid international double taxation and not to have such double taxation operating as a block to foreign investment. Thus, in number of matters, these Regulations are as generous or more generous than provisions found in the laws of other countries. The foreign tax credit is available for the amount of income actually received in Mauritius and is treated as a foreign tax which is of similar character to the Mauritian income tax. In calculating the tax credits, the Regulations allow for the grossing up of the foreign source income, and provide in respect of foreign tax charged on dividend, credit for the underlying tax charged in the foreign country on profits out of which the dividend is paid. The underlying tax is available to all residents of Mauritius, whether they are companies, individuals or trusts. However, a holding of 5% of the share capital in the paying company is required. The amount of foreign tax credit is limited to the lower of the actual amount of foreign tax or the amount of Mauritius tax. If for example, the foreign tax is at a rate higher than the Mauritius tax, the surplus foreign tax cannot be credited. Moreover, the taxpayer can choose to compute the limit either on an item basis or on an overall basis.